Bangkok, Thailand is a non-stop contradiction – from old world temples and makeshift markets to sky-soaring architecture and luxury boutiques. There is no such thing as boredom in Bangkok. This colourful capital has something for everyone’s budget. Here are the ‘highs and lows’ of this South East Asia gem. High: If you can brave the Bangkok view from 61 floors up, then you must try Vertigo Grill and Moon Bar. Enjoy BBQ seafood and Thai delights among the stars. After dinner, stay a while and enjoy a sky-high martini. Note: Vertigo shuts down during high winds, so check the forecast before you head out. Low: Bangkok is probably THE most budget-friendly cosmopolitan capital city. Food stalls along the cramped streets offering simple al-fresco dining are plentiful, delicious and easy on the wallet. Beef noodle soup, pad Thai and a fresh mango shake for dessert costs less than $5. Not bad for a three-course meal! High: Spend the day at Siam Paragon, one of Asia’s largest shopping complexes. It’s also the most expensive in Bangkok. Spread across 13 acres, Siam Paragon features everything from designer duds like Armani, Valentino and Jimmy Choo to Thai silk boutiques and even an opera concert hall! Don’t forget to check out Siam Ocean World on your way out, South East Asia’s largest aquarium. Low: Get lost in the mayhem at Chatuchak Weekend Market, the largest weekend market in the world. 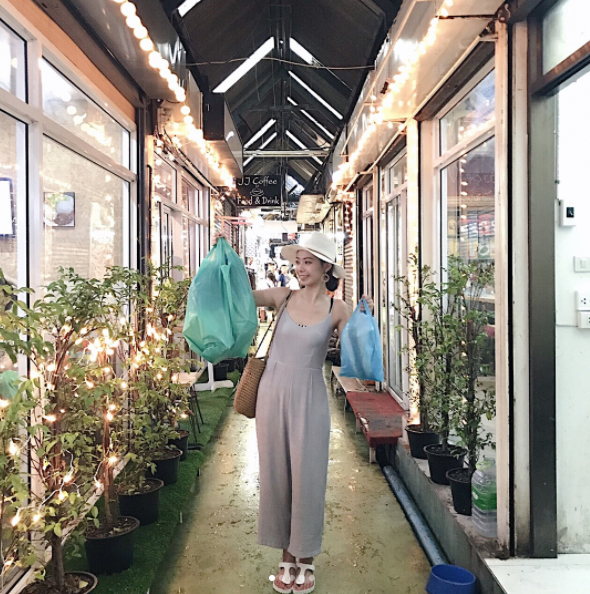 New and vintage clothes, Asian antiques, colourful lanterns, Buddhist statues and more are all for sale at bargain prices – if you can find it! 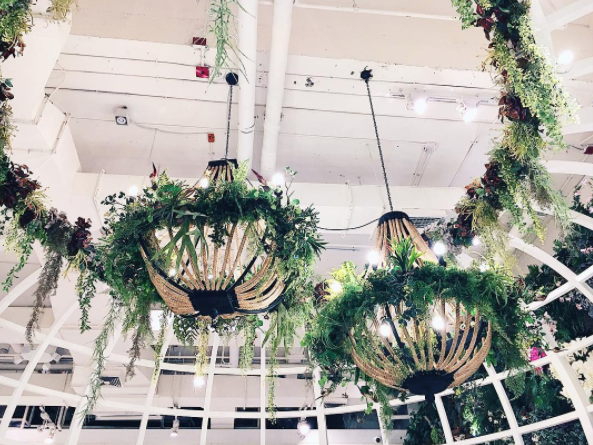 This market mecca is full of surprises. Exploring the maze is half the fun! High: If you’re looking for the ultimate East Asian spa experience, the Oriental Spa at Mandarin Oriental Hotelwas voted the best spa in the world, according to Travel + Leisure. Spend the day being luxuriously pampered in an exquisitely restored century-old teakwood house. The full-body scrub using grated coconut, green bean, jasmine rice and coconut oil smells like pure bliss (or so I imagine!). Low: The infamous book ‘The Beach’ describes Koh San Road as “a halfway house between East and West”. 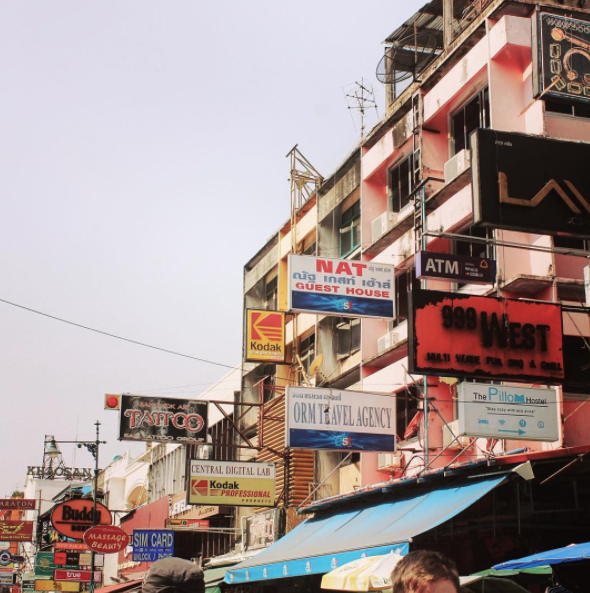 The iconic Bangkok street is jam-packed with backpacker bars, cheap guesthouses, tour agencies, quirky shops, market stalls, tattoo and massage parlours, eateries and much more. There’s no doubt that the legendary Koh San Road is a smorgasbord of everything and anything. Be prepared for the masses! 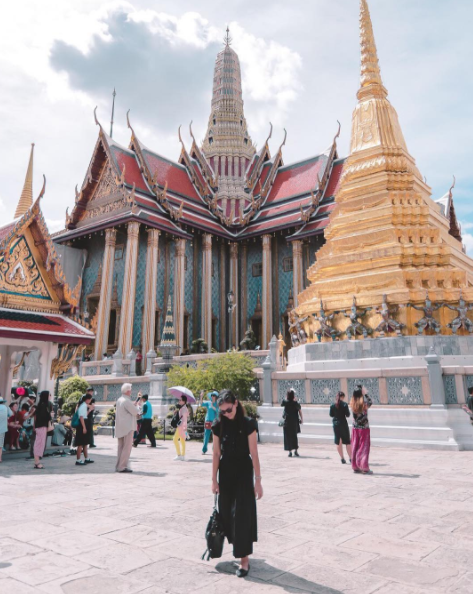 Also: Be sure to visit Wat Phra Kaew and the Grand Palace, where both the revered Emerald Buddha carved from solid jade and the King of Thailand reside. Intricately tiled facades, shimmering gold Buddha statues and exquisite wall murals are the centre focus of this top culture spot. Note: Don’t forget to take a cute pic with one of the stern-faced Palace guards.